The first Persian poet I ever read was Farid ud-Din Attar. Today’s selection is an extract from his wonderful work, The Conference of the Birds, an epic tale about the search for the mythical Simorgh, the one holy bird who could rule over all the other birds of the kingdom. I still marvel at how readily I jumped into the text, without worrying about the fact that I had no access to the original Persian. While others in my class (including my professor) voiced their annoyance at the consistent rhyming couplets of our Penguin edition, I was sucked in by the absolutely beautiful description of the intoxication and all-consuming nature of love. 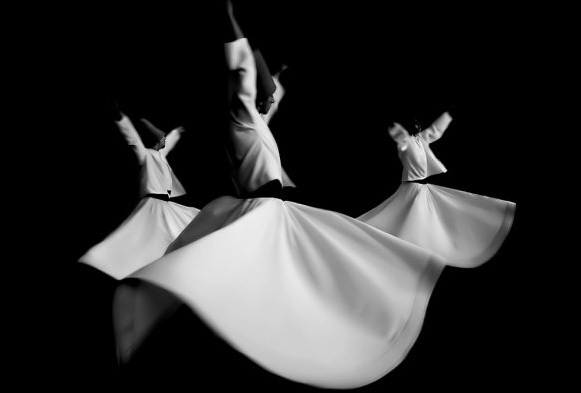 Star-struck teenager that I was, I missed (at first) the important Sufi idea that such passion was best and most beautifully felt and expressed for God, the (actual) One. This lofty lesson came in time. Indeed, their was a time I found this passage sickly sweet, and a dangerous way of viewing earthly relationships. But I think that this work’s greatest accomplishment is that it captures the joy rather than the fear of annihilation. Whatever it is we seek, we should not shy from being the moth rapturously consumed by the flame, from giving in to the ultimate spiritual object of our desire. And those whom fire rejects turn back ashamed. And who is neither, but a living flame. Backsliding, weak—O, no, this is not you! But risk their livelihood, and risk it now. From their desire’s incessant misery? That seeks the sea and shudders on the sand. Supplies no remedy for love’s despair. Of shining love to mitigate the dark. The pilgrim’s path, you might as well be dead! And longs to sacrifice his life and heart. This entry was posted in Iran, Literature, National Poetry Month. Bookmark the permalink.